The screenshots below show just a few of VenueMagic’s many powerful features. The full featured playlist feature lets you play back your timelines and music. 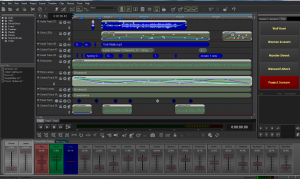 Trim your music, then add fades and dissolves for a professional sounding playback. Lamp preview window you see a real-time playback of you show. VenueMagic never leaves you in the dark. Detailed, comprehensive help is available for all screens and windows by hitting F1. VenueMagic includes a list of commonly used fixtures for a variety of manufacturers. Drag fixtures from the library into the DMX address map for easy address assignment. Later, print out a list of your fixtures and their address switch settings. VenueMagic uses envelopes to control audio volume and effect levels as well as lamp levels and lamp effect settings. 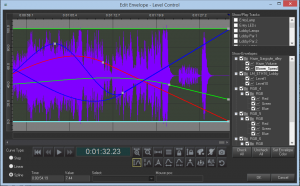 The envelope editor greatly simplifies the task. (VenueMagic DMX+AV edition only) The powerful features lets you schedule the playback of timelines by date and time. Easily set timelines to playback daily or weekly. Copy blocks of dates into different months. 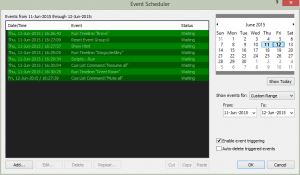 (VenueMagic Classic and DMX+AV editions only)If VenueMagic doesn’t support the fixture you want, simply add it to the User Fixture Library with this easy-to-use fixture profile editor. Export you fixtures and share them if you like. You can also import fixtures from the main library to make changes. 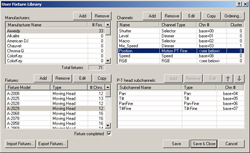 (VenueMagic Classic and DMX+AV editions only)With channel routing, you can assign any input to any output, or group of outputs. Control DMX lights directly with a MIDI console or joystick. Use it to adjust lamp levels controlled by a timeline by selecting the proper merge mode. Select from a library of over 100 built-in lamp chasers. 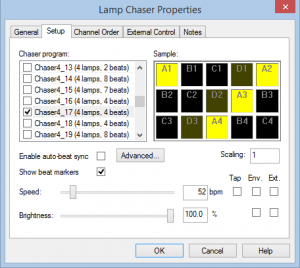 Control chaser speed by envelope, by MIDI slider or using the beat-tapper feature. 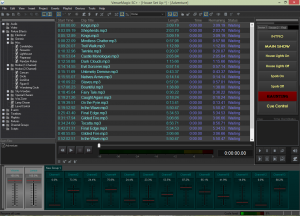 You can also tell a chaser to analyze a music clip to find the beat and match it–not just BPM, but beat for beat. 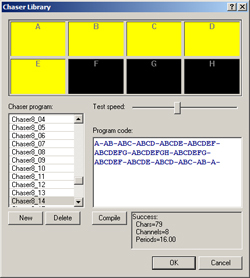 (VenueMagic Classic and DMX+AV editions only)If VenueMagic doesn’t include the exact chaser sequence you want, you can create one using VenueMagic chaser sequence design language. 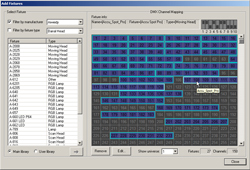 It’s easy to learn and lets you put sequences together must faster than you could using graphical methods. (VenueMagic Classic and DMX+AV editions only)This unique little tool is great for extending the length of audio clips. 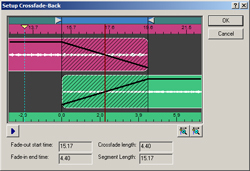 With cross-fadeback, you can tell a clip to cross-fade back onto itself (hence the name, “cross-fadeback”). This is very handy for ambience sounds that need to loop seamlessly for long periods of time. (VenueMagic DMX+AV edition only) Monitor DMX input realtime. Shows levels as percent (0-100%) of raw DMX (0-255). 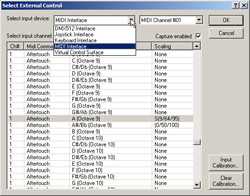 Use this window to select a MIDI, DMX or joystick input to control something. Select the device you want, then move it. VenueMagic captures input messages and selects the exact channel you want. (VenueMagic Classic and DMX+AV editions only)If your DMX, MIDI or joystick input is not giving you the levels you need, you can adjust it here. You can scale it, offset it, and then set minimum and maximum levels. 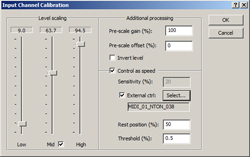 Set a mid-range level to change input channel linearity. You can even make a joystick control the speed of a moving head rather than it’s position. (VenueMagic Classic and DMX+AV editions only)Group together channels with common functions to make them easier to use. Divide yor stage into zones, each with its own brightness and color balancing control. 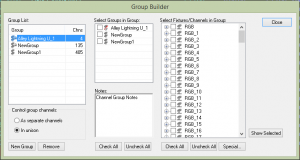 Put channels in multiple groups for specialized functions. Put groups in groups. There is no end to the powerful things you can do with VenueMagic groups. 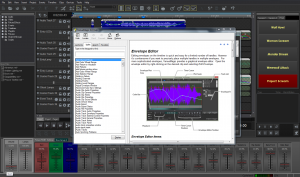 Layer sound effects such as echo, reverb and flange to any audio clip on a timeline. Vary effect parameters during playback using envelopes (this is great when you’re using flange). 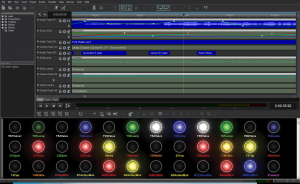 Real-time recording of DMX control by DMX, Joystick or MIDI. 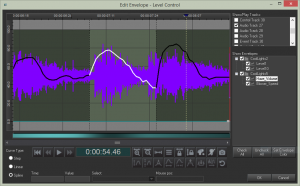 Graphical curve editing tools let you to smoothing, scaling and shifting.